This topic contains 1 reply, has 2 voices, and was last updated by Kurt 3 years, 8 months ago. Our single family, flat roof house is 3 years old. The top story has an office in the middle with two decks on either side. This summer, we have noticed a musty smell coming from the upstairs, particularly when the air conditioning is on. 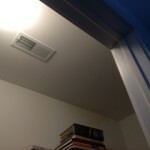 The smell seems to be the strongest near the intake vent (but that could simply be cause it’s near the top of the stairs so we smell it there first). When we run a dehumidifier and two air purifiers, it seems to help the smell. We are curious if there is enough roof ventilation? We have one mushroom vent on either side of the roof. There is no vent above the office. It may be worth mentioning a potential moisture issue we had in the past. The first summer we lived in the house, we did not use a third upstairs bedroom. 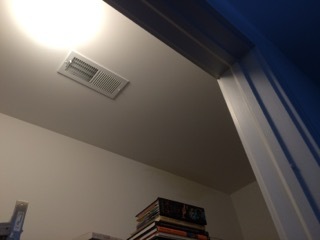 So we shut the door and closed the vents. 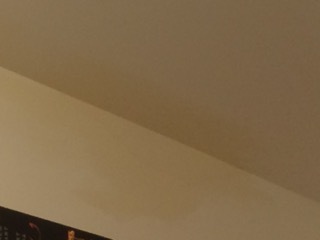 After the summer, we noticed some water discoloration on the wall/ceiling. 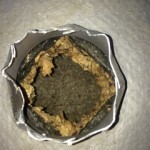 We’re assuming it’s from condensation produced by the cold air in the ductwork. Musty smells and new construction…..there are reasons for this….. 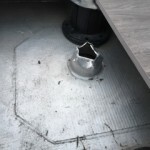 The first picture looks like an unfinished plumbing vent stack; I’m assuming the 2nd pic is looking vertically down into that same “vent” hole, but what I’m seeing isn’t anything that I should be seeing in a plumbing vent. 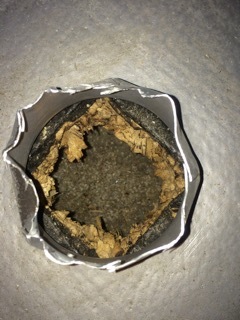 As a start, this doesn’t look like anything one should be seeing on their roof. 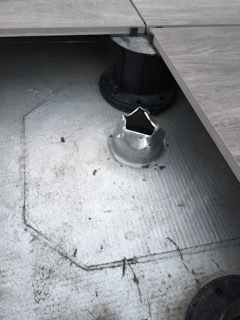 A plumbing vent allows sewer gas (that exists naturally in any Drain/Waste/Vent pipe system to vent out of the house. When you look into a plumbing vent, you should be staring down a pipe without any other material being visible. What I’m looking at with this one is…..I have no idea. There shouldn’t be any vent, plumbing or otherwise, that looks like this. Can you describe to me what that yellowed paper looking thing is in the hole? Is that dirt down in there? That said, let’s talk about roof system insulation….can’t know where to go without knowing that. Do you know what insulation is used in the overhead “attic” space? Is it fiberglass, cellulose, or spray foam? There are critical differences between these 3 main types of insulation that define what type of ventilation you may need (if any) for this roof assembly. I need to know what insulation is in the overhead space. Insulation type effects ventilation requirement. Fiberglass and cellulose need ventilation (lots of it) while some types of spray foam don’t need it at all. If possible, take a picture of the deck showing the overall setup. An establishing shot, so to speak. Close ups are cool, but only when I know what the bigger picture is I’m looking at. This reply was modified 3 years, 8 months ago by Kurt.